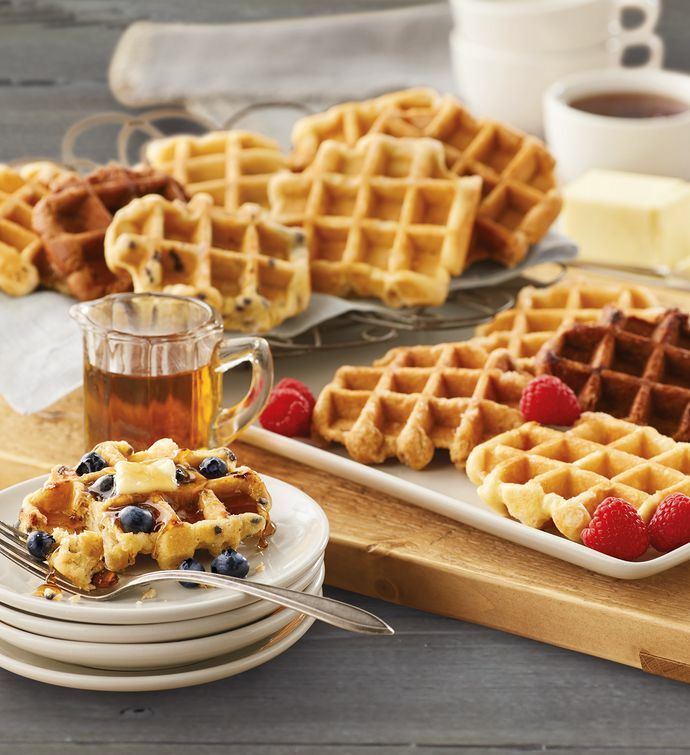 The buttery Belgian waffles in the Gourmet Waffle Assortment are made with pearl sugar. Feel free to skip the syrup for these delicious flavors, including vanilla, cinnamon, double chocolate chip, maple, and blueberry. These delicious Belgian waffles are ready to toast and are perfect as a sweet and quick snack. Kosher.